We think redfin is the best real estate listing site due to the accuracy and minimum delay of its data. 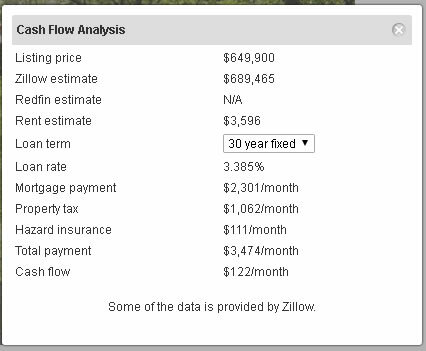 Compared with redfin, the listings on zillow is often out-dated. Therefore, we believe redfin is the best place to go for real estate investors for whom update-to-date data is critical. However, one important drawback of redfin is that it doesn't have estimate information for rent and payments. More than 50% of its listings don't have price estimate either. Therefore, we have designed this feature to add more information and analysis onto the redfin site so that investors like you can decide quickly if you should make an offer and what the offer should be without digging information from various sources. 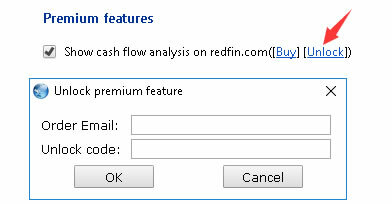 After the feature is unlocked successfully, please also ensure the option "Show cash flow analysis on redfin.com" is turned on. You can choose between different loan terms and the payment information will be automatically updated.